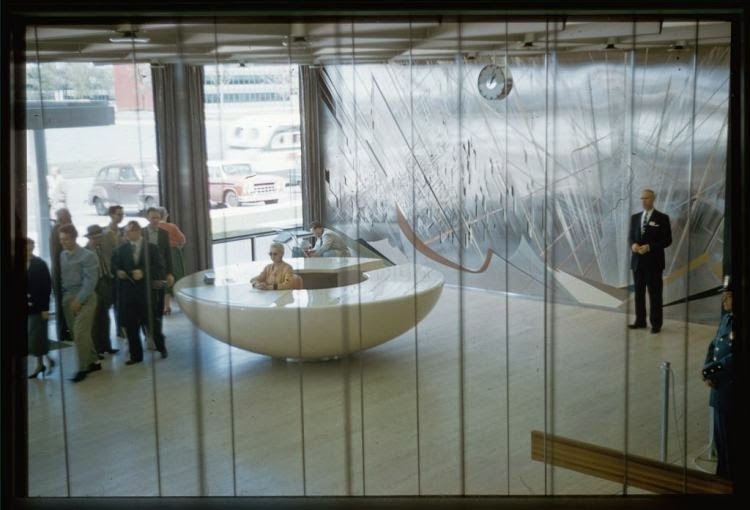 Arrowhead Vintage: General Motors 1945, or Sci Fi stills? 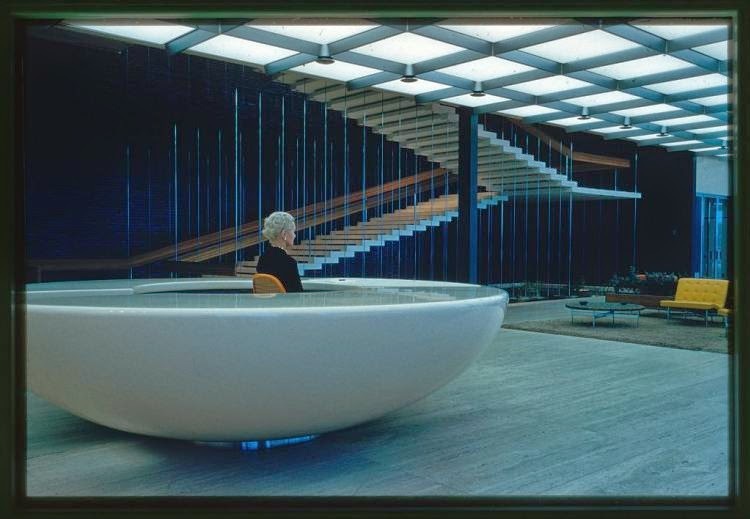 General Motors 1945, or Sci Fi stills? 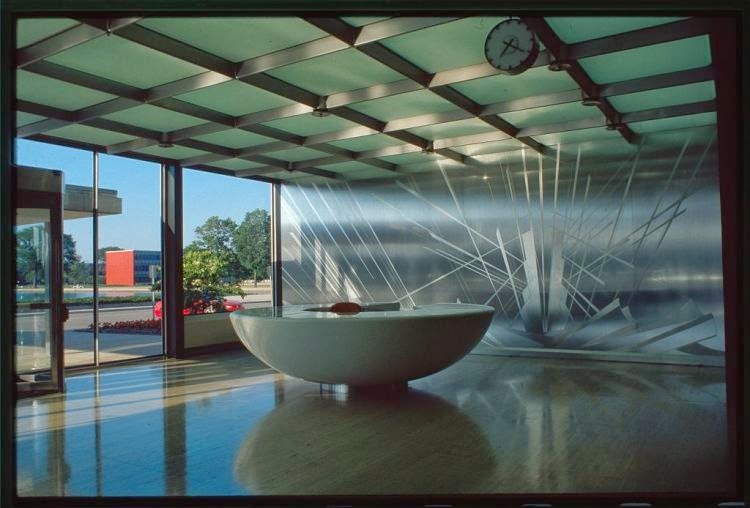 These images of the reception area at General Motors, installed in 1945 in Warren Michigan (where my parents grew up!) 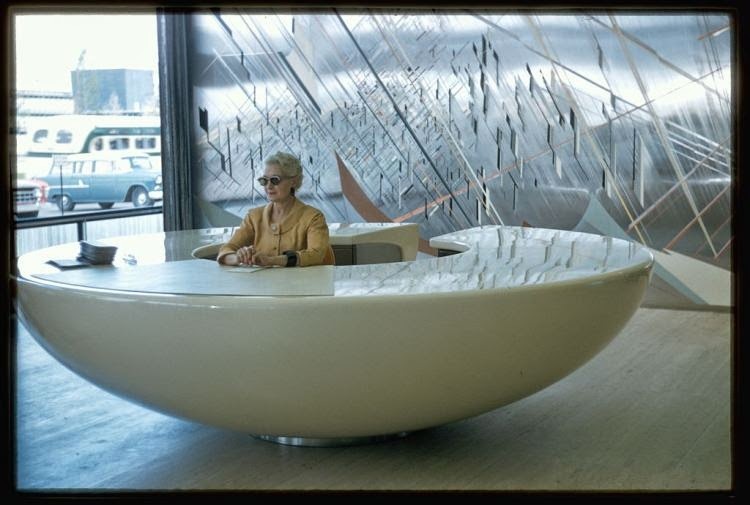 have me wishing I could replace my Ikea number with a white shiny flying saucer desk.